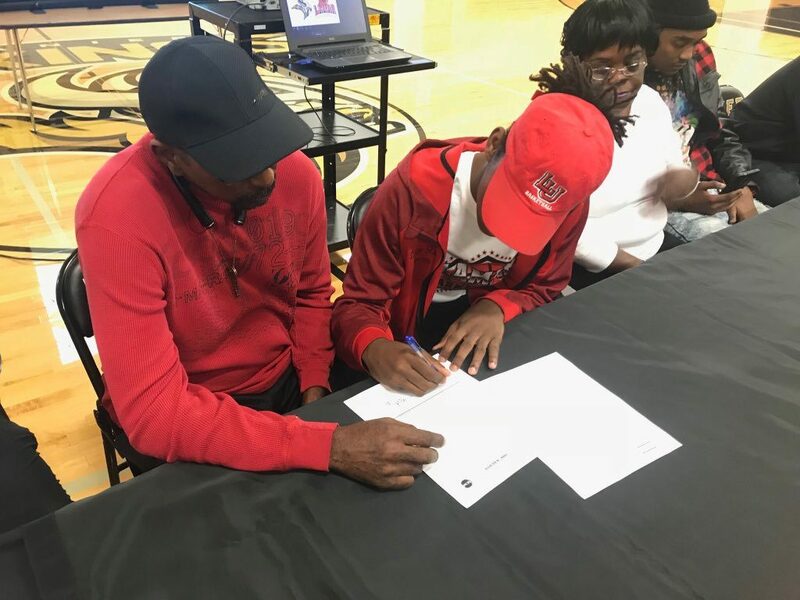 Davion Buster ’18 Signing National Letter of Intent to play basketball at Lamar University. BEAUMONT, Texas – Despite the fact the Lamar University men’s basketball team will be kicking off the season Friday at Tulsa, the Cardinals’ coaching staff spent part of Wednesday improving next year’s roster with the addition of three signees. Junior College transfer Christian Barrett (Houston, Texas) and high school standouts Davion Buster (Austin, Texas) and Grehlon Easter (Little Rock, Ark.) announced their intentions to continue their careers at LU announced head coach Tic Price Wednesday afternoon.